We have these from time to time, it's a way to show your guns and also to answer questions about the legality of firearm ownership. I'm not a crazy gun nut, nor is most gun owners, though there are a few that make the whole community look bad. Let's keep that out of here. Face it, in some cases it is best to be able to protect yourself and your family, not to mention it is simply fun to shoot. I'll post my collection and latest pickups after a few people post. If you have questions ask away. Post yours first, then I'll post mines. Mark 12 Special Purpose Rifle Build with Leupold Mark 4 Scope. Tactical Vest with 1911 .45 ACP Pistol, 4 M-16 Magazine Pouch, 2 Pistol Mag Pouches. I have the same rifle in a CQB (Close Quarters Battle) config, will post pics later. Who's the manufacture? I'll post my pics in a little while. but back to the topic, can you actually use those guns on a daily basis?
" waits for someone to post a barret"
That is the same exact sight as the holographic sight on MW2, it's the Eotech 552. Yes I can use these legally. I thought about a Barrett, only thing I can't find a place to shoot it...too much firepower. Oklahoma is about to officially become an open carry state, or at least the bill is going up now. I already feel like everybody here has one, especially anybody in a pickup truck, just scares me even more making it legal now. Dont own one, but Ive shot my uncles AR 10 and 15 before. Makes me want one later on in the future. I have a question about gun ownership though. 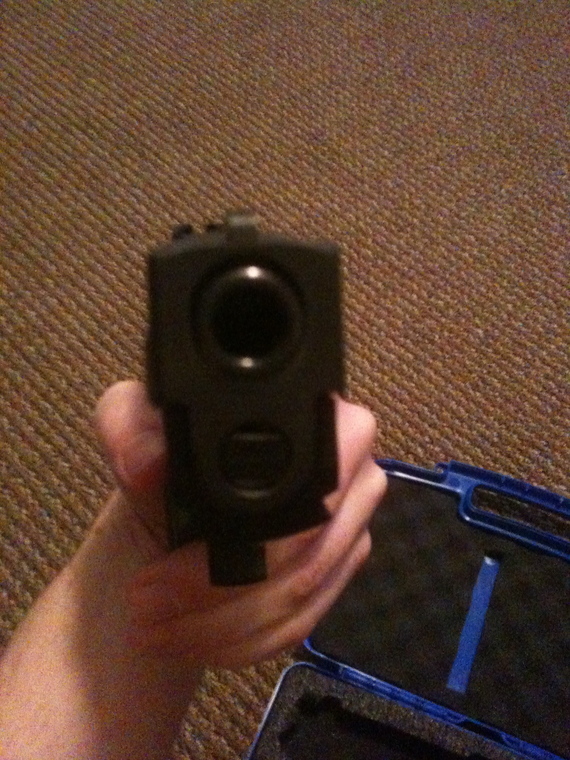 To own a handgun and keep it at your house, do you need to take some kind of class to buy and own a gun? DPMS Panther Arms...a very respected gun manufacturer, it's not a regular AR-15...everything is match grade. My 1911 is a Kimber, again Match Grade. Datznasty, no need to worry, most gun owners and especially the legal ones are not crazy...it's the criminals youo have to worry about. HyphySole, most states allow you to have a gun in your house without anything more than a purchase permit. You'll need a Concealed Carry Weapon course in order to carry concealed though, but since you are talking for your home you will not need that.. What state are you in, if you don't mind me asking. Damn, how people get there hands on these types of weapons? Depends on the state, NYC doesnt allow any citizen to legally own a gun. Most states you just gotta be over 21 with no felonies. If you dont have a CWP, theres a 3 day waiting period and then you can scoop the gun from the store once the time comes. I am with the Department of Defense, can't really say what I do or did, but this weaponry was an everyday type thing where I was in the Middle East. This stuff was out Waaay before COD. I practice and use my stuff, the better I am at it the better prepared I will be if I have to use it. Not just guns, but edged-weapons and also hand to hand combat. Is the barrel twist 1x9 or 1x7? What kind of ammo are you running through it? My bad AR-Guy, you right I should have checked your SN. It's a 1x8 twist and I shoot the Mk. 262 77 grain 5.56. They have slightly better ballistics for longer range shots, though I need to scoop some M855 ammo to save a little money per shot. Anybody got some info on how to legally own one in NY? I'm not trying to carry, just to keep in the crib. How strict are gun laws in CA? I heard CA doesn't let citizens obtain a CCW? And usually how long is the waiting period? 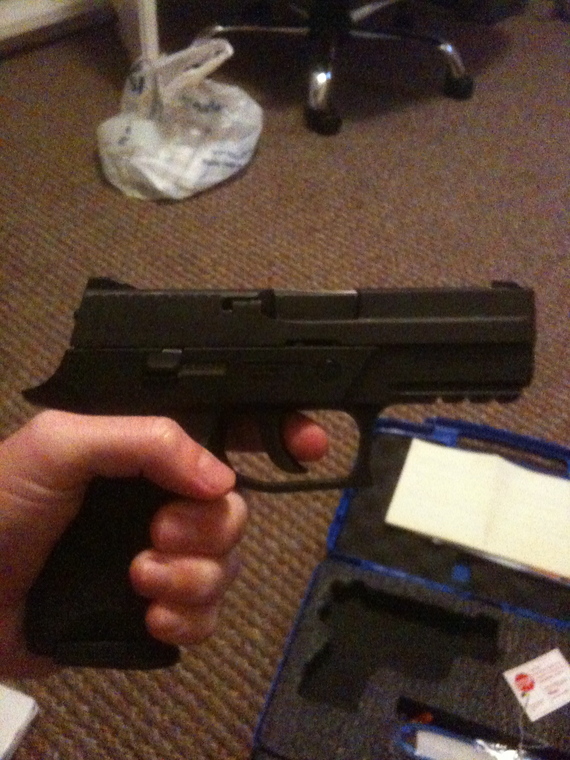 I'm looking to own a handgun for home protection.. what do you guys advise? 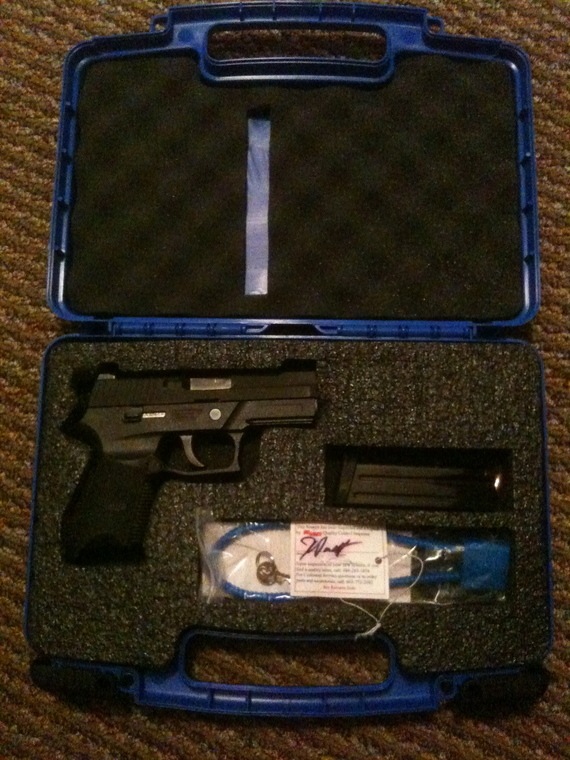 Sig Sauer P250 9mm. Bought it new from Academy on sale for $460 in January. Trigger discipline, get your finger off of the trigger.